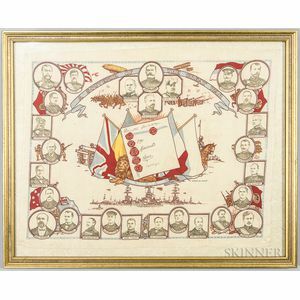 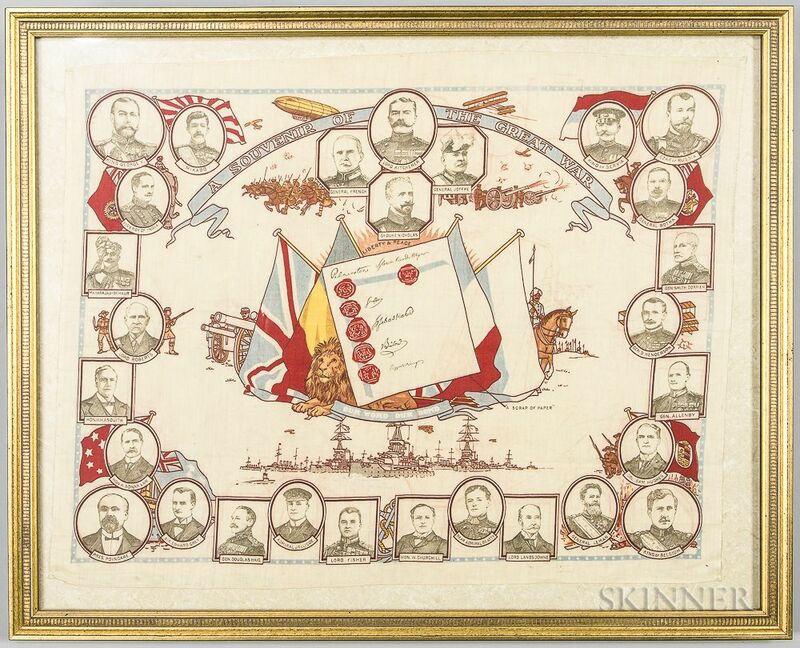 British WWI Souvenir of the Great War, framed cloth with printed officers, ships, planes, and artillery, lg. 28 5/8, ht. 23 1/4 in.